We had a busy weekend. Spent Saturday with a lovely sister and her son. Her own sister then invited us and my kids enjoyed being kids with her 5 children masahAllah. I really felt very welcomed by her family. Sometimes, I feel that not having muslim family is a real vital ingredient to my life and my kids life that is missing. Sometimes it feels a little lonely and visits like this make a huge difference. Yesterday was quite a busy day. In the morning, we took Z to the local Muslim playgroup. He had fun, threw a few tantrums (am so not used to these!) and we came home. Had lunch, put him down for a nap and R and I began our schedule. Started off with Quran. Alhamdulillah, she is improving mashaAllah. I leave her with this site for her to revisit the surahs she has already memorised. Seems to be working very well for her, alhamdulillah. We then began a new Islamic Studies Project. 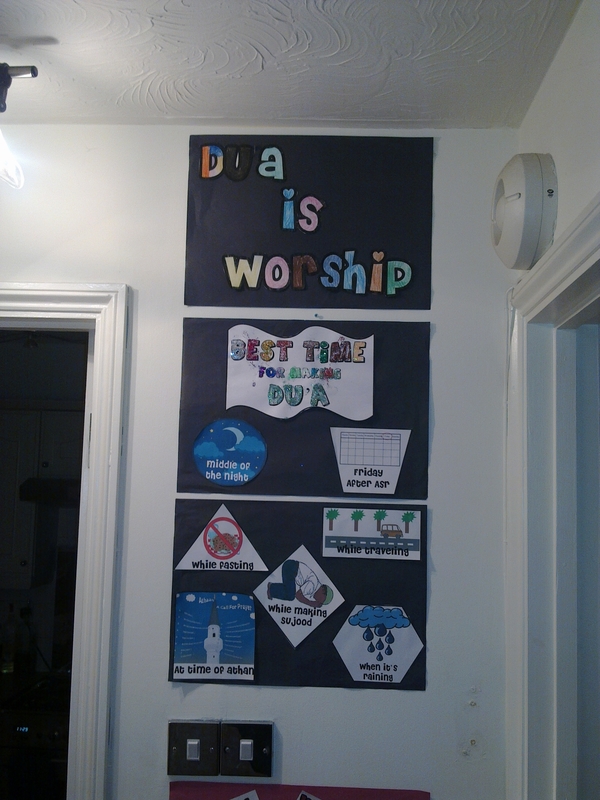 We are making the fantastic Duaa Bulletin Board that the sisters at this site designed, mashAllah. 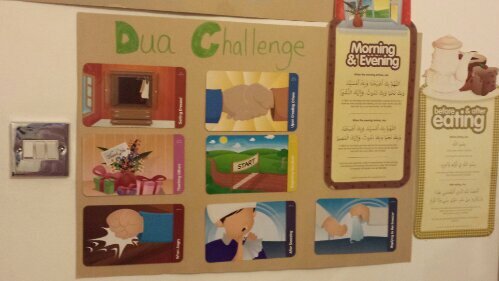 We have started it and whilst R coloured and decorated the different parts, we discussed the importance of dua, the best times to make dua etc. I like having conversations with R like this. 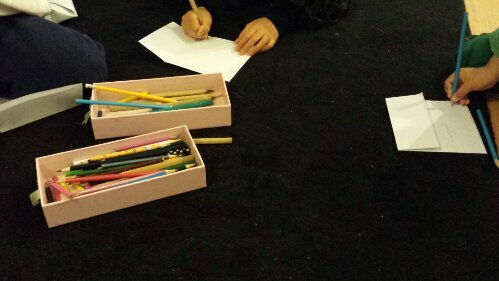 R colouring in whilst we talked about Allah (Swt) being the Only One who can truly helps u. 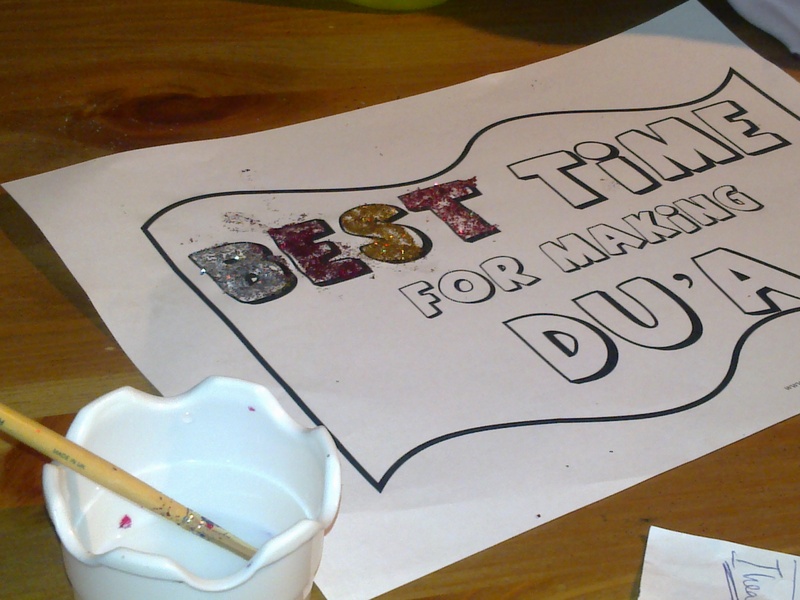 Filling in this section of the board with glitter per letter. 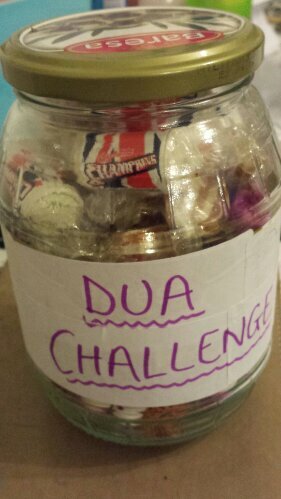 She was intrigued by the different times that Allah (swt) responds to our dua. She kept looking outside of the window to see if it was raining! Its important for things like this to be seen by the kids as a reminder. So, managed to persuade hubby to let me stick it up in the corridor hall! 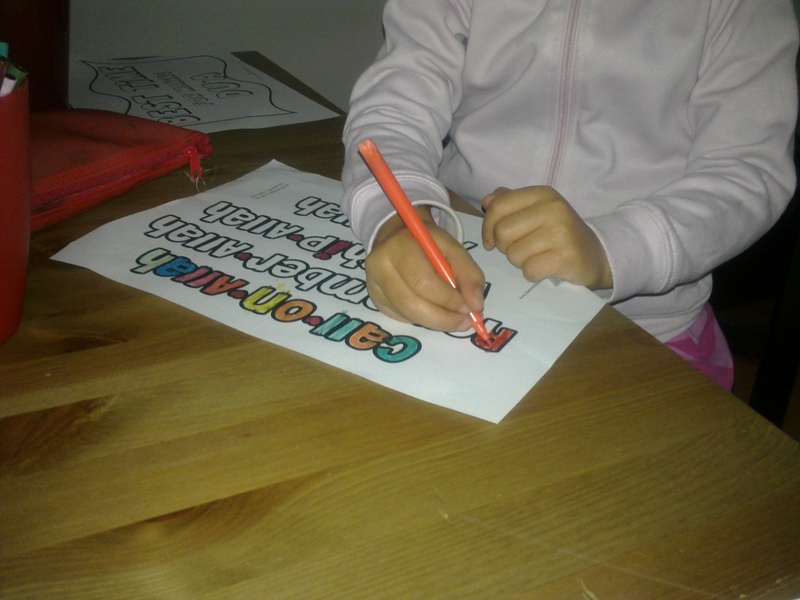 After that, we started on our new Science Project from Science A-Z. The project is about animals. What I like about this curriculum is that it is based around reading and literacy skills. So, basically the child learns about science topics whilst improving in all skills related to literacy. 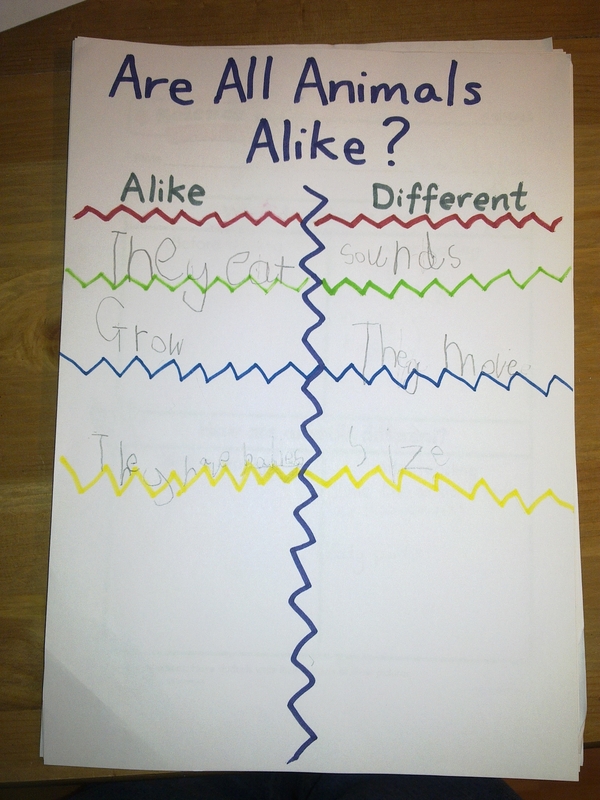 We started off the project by making a T chart discussing and R writing down the way in which animals are alike and different. We later added to this once we had read the main book that is supplied with the project. 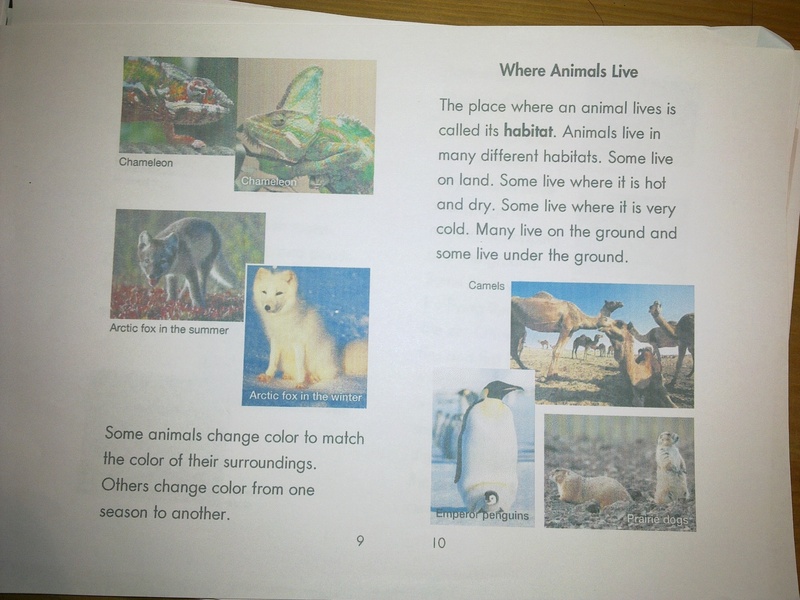 Each science project comes with a main non-fiction book. They have different levels of the book: low, mid and high. I printed off the high level to try and challenge her. MashaAllah, she read it fine. We paused as she was reading it to discuss what she was reading and added points to the T chart. 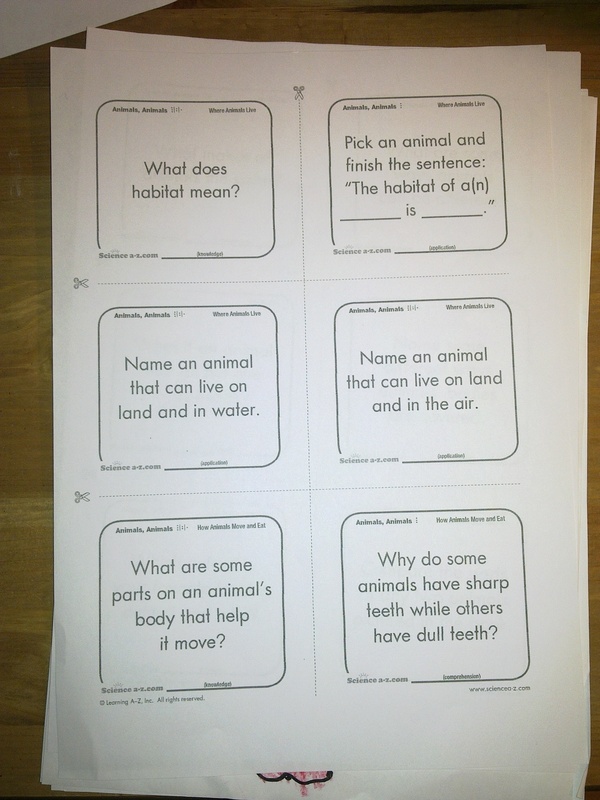 I then tested her comprehension, reading, knowledge and analysis skills using these discussion cards. This wasn't written work. It was oral. Underneath each card it states what part of literacy the child is being tested on. All of the questions are related to the Non fiction book. We had quite an interesting discussion masahAllah. And she told me facts about some animals that I didn't even know about! One of the new vocabulary words that she learnt was 'habitat'. We discussed different habitats for different animals. She mentioned that our garden has become a sort of 'habitat' for a few animals that visit us a few times in one day. 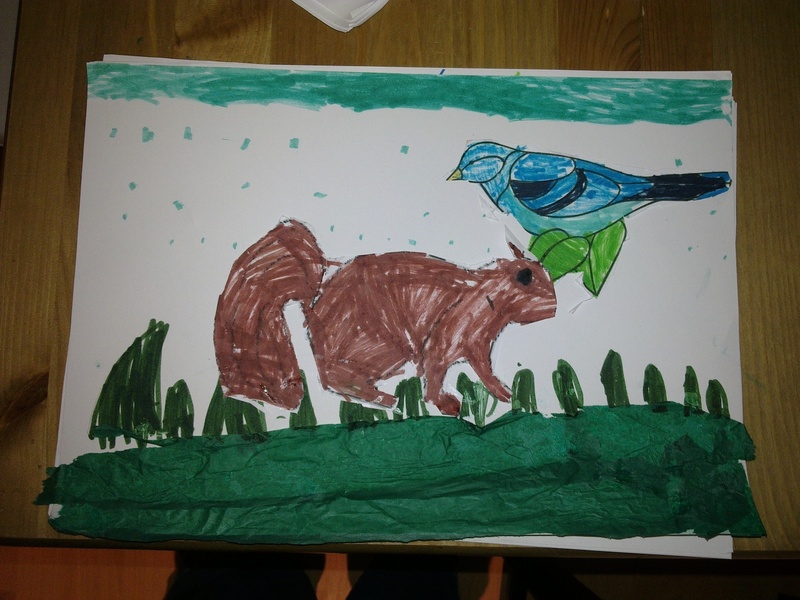 So using card, tissue paper, pens and some print outs, she made this picture. I shared the cost for the year’s subscription with another sister which made it worth it. Alhamdulillah. So far, I like what we are doing. We have a few experiments, more oral work and some written work to come up. Will post some more on this as we carry on with the project inshaAllah.